Original Name: Lahore Stadium. 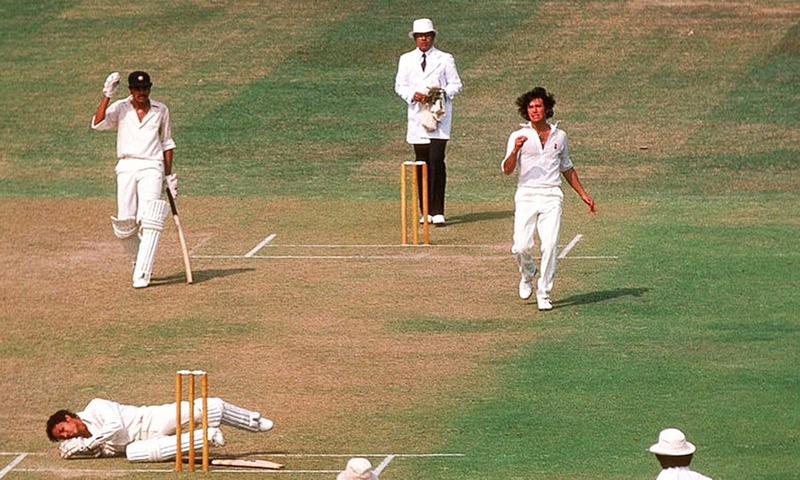 Changed to Gaddafi Stadium in 1974. Home Ground of Lahore Qalandars; Lahore Eagles; Lahore Lions. 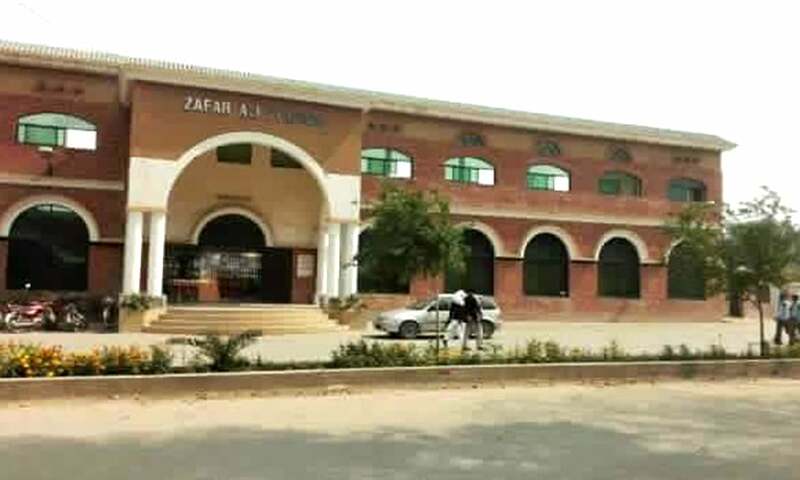 • The headquarters of the Pakistan Cricket Board (PCB) and cricket’s main training academy in the country are both situated at Gaddafi Stadium. • A Test match here against England was affected by rioting in 1968. 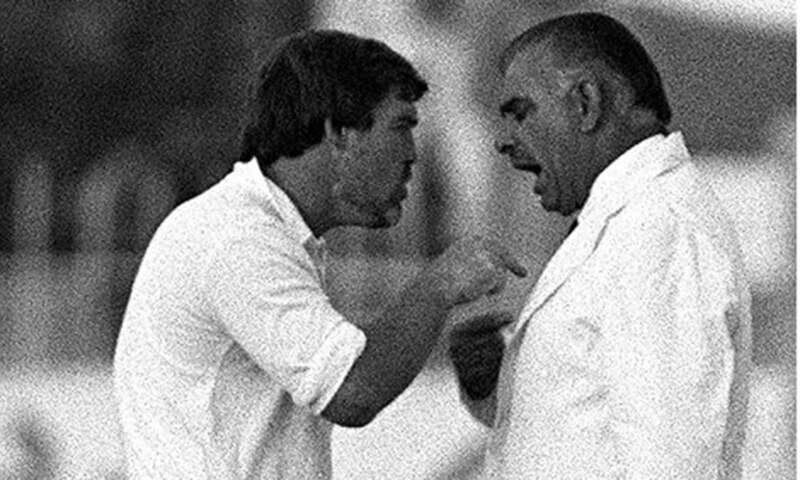 In 1977 another Test (also against England) witnessed a riot between police and spectators. • Three matches were held at Gaddafi Stadium during the 1987 Cricket World Cup in India and Pakistan. This included one of the tournament’s semi-finals. 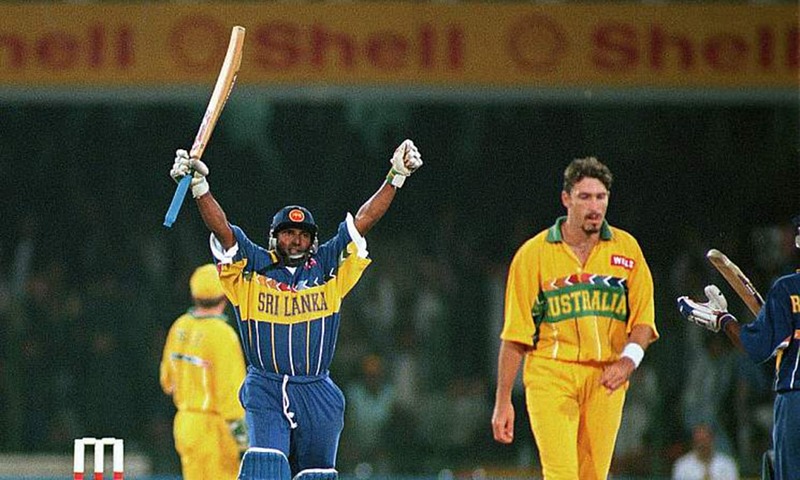 • The stadium was expanded and renovated just before the 1996 Cricket World Cup. 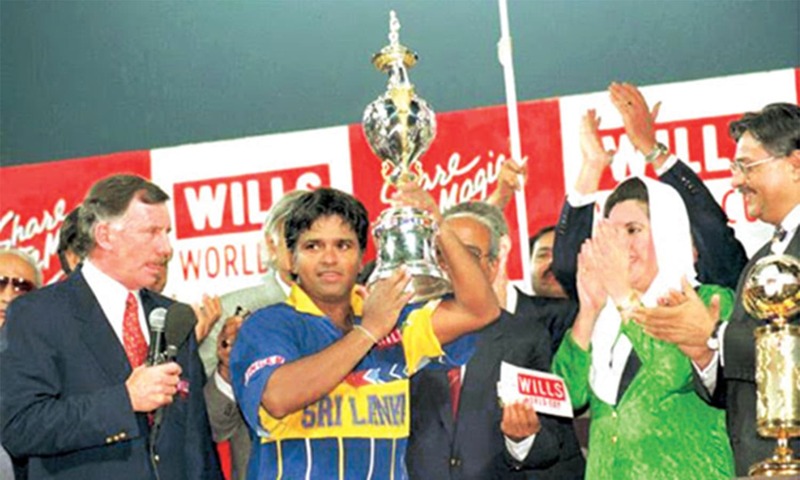 It held three matches during the event, including the 1996 World Cup final. 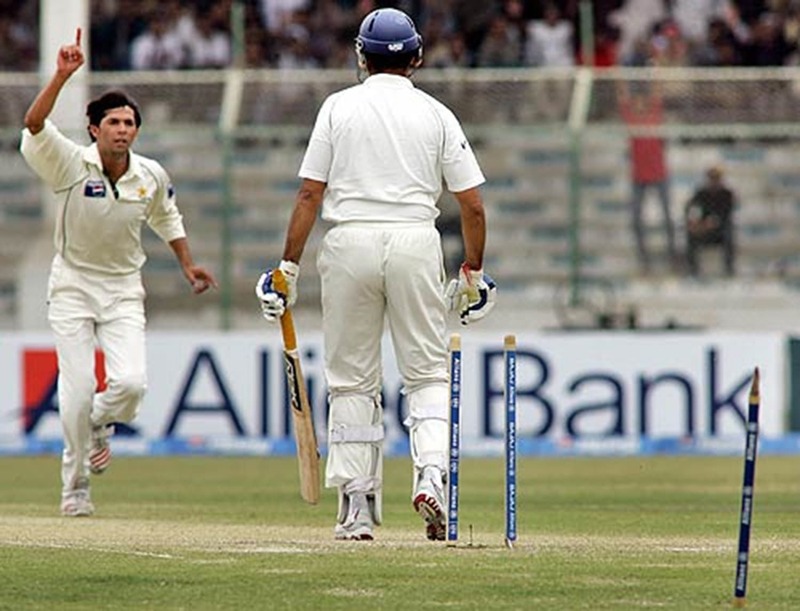 • The last Test match to be played in Pakistan was at Gaddafi Stadium in 2009. It was abandoned midway after the bus carrying the visiting Sri Lankan squad was attacked by terrorists. 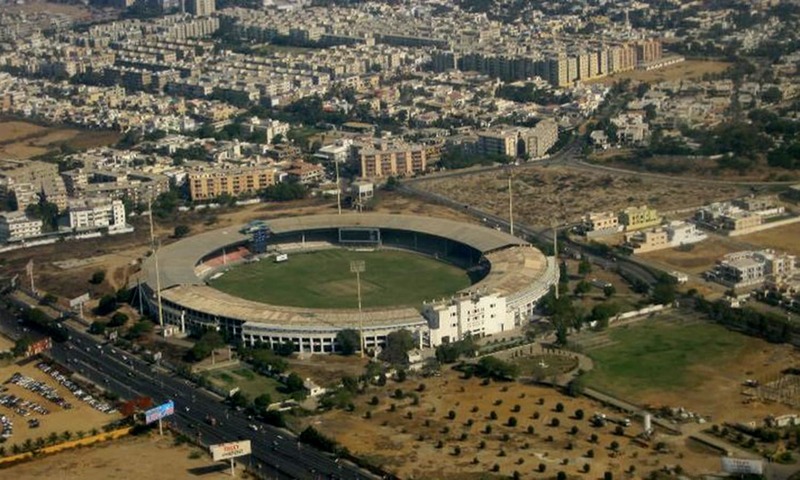 • Pitches at the stadium have largely been batting-friendly, except during a Test match against India in 1978 and a Test (also against India) in 2004 when green-top tracks were prepared to help fast bowlers. • The first ODI was played here in 1978 against England. • The first T-20 international was played here in 2015 against Zimbabwe. 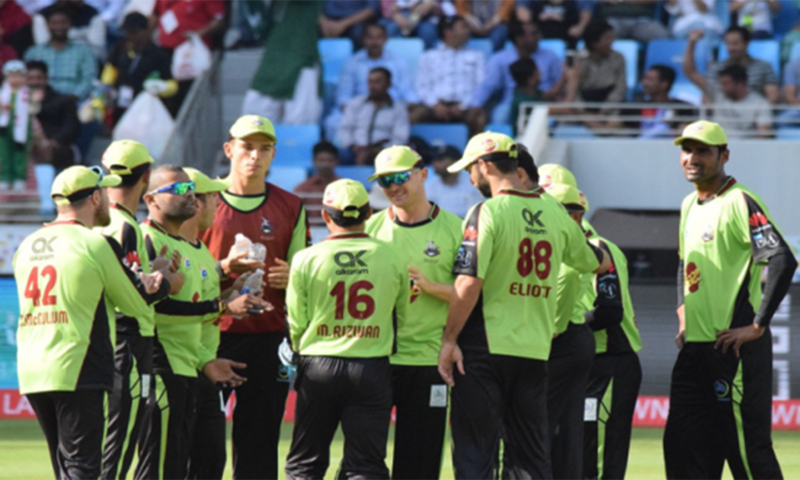 • The final of the second edition of Pakistan’s premier cricket tournament, the Pakistan Super League (PSL) was held at the Gaddafi Stadium in March, 2017. 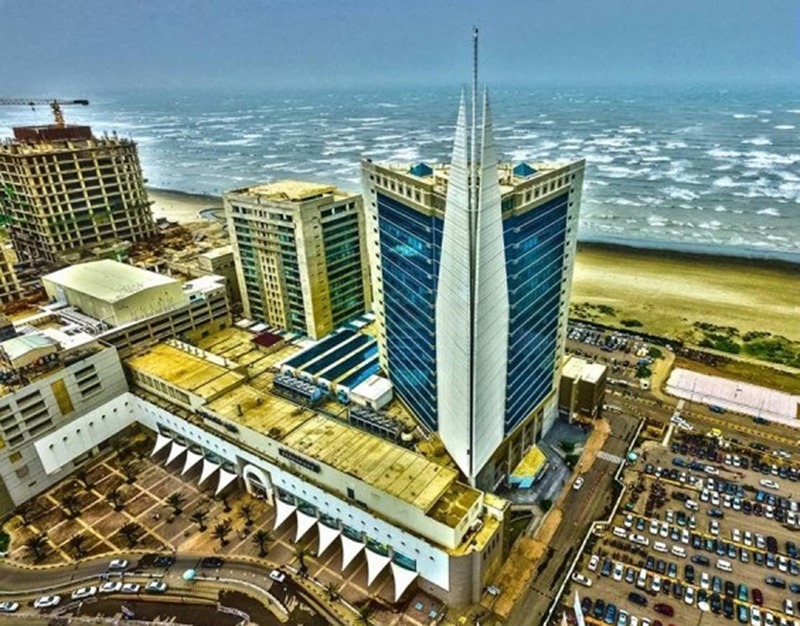 Home Ground of Karachi Kings; Karachi Dolphins; Karachi Zebras. • The National Stadium is Pakistan’s largest cricket stadium. 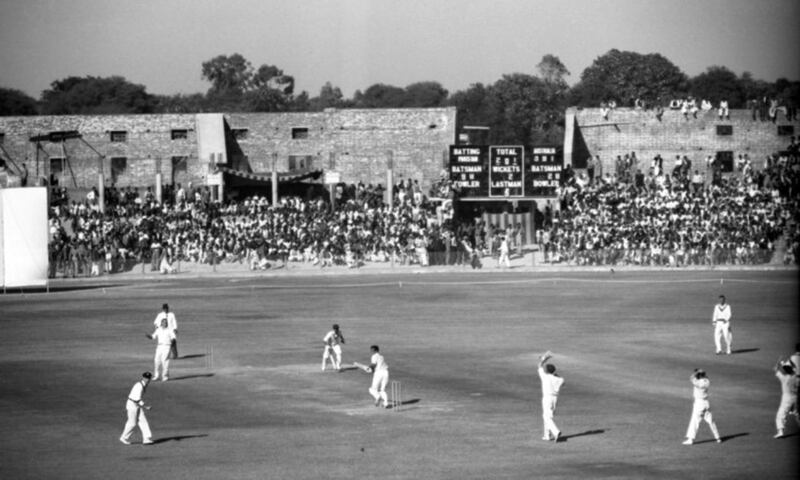 • The first Test match at the stadium was played in 1955 (Pakistan vs. India). • The first ODI here was played in 1980. 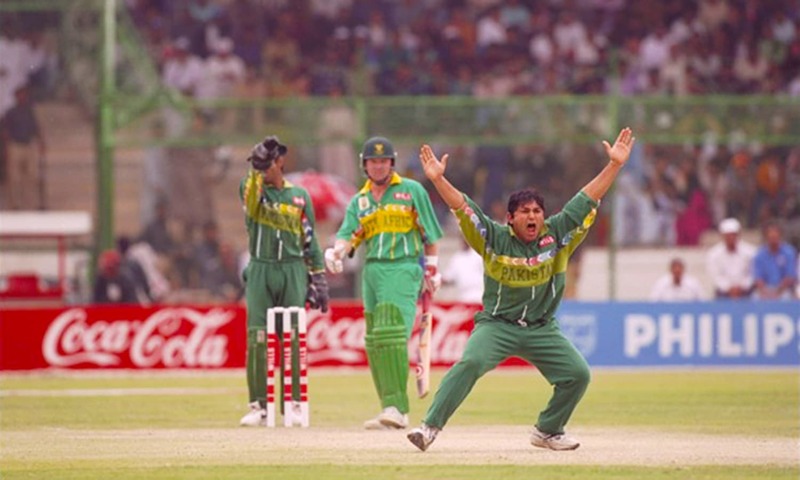 • The stadium has witnessed some of the most thrilling Tests and ODIs played in Pakistan. 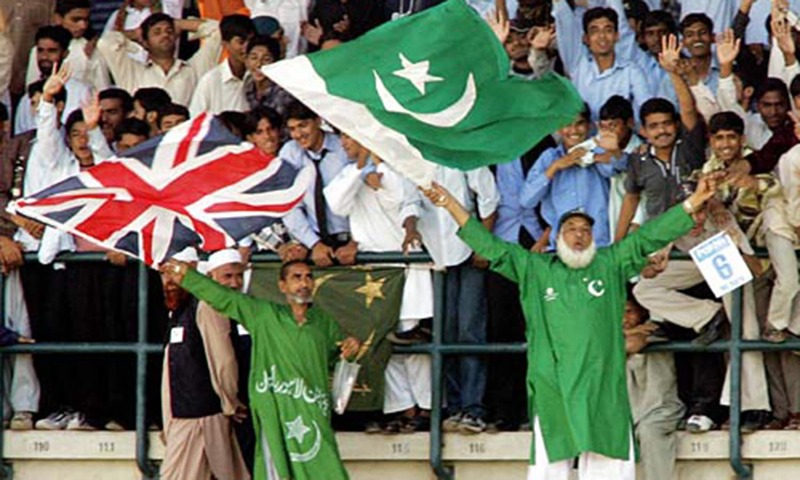 • Despite National Stadium being the most successful home ground of the Pakistan cricket team, and famous for producing some of the most exciting Tests and ODIs, it also has a history of experiencing the largest number of riots and disturbances during matches. • Tests here were badly affected by rioting in 1968 (against England) and 1969 (against New Zealand). Rioting also took place here during a Test (against West Indies) in 1981 and an ODI (against Australia) in 1983. The ODI was eventually abandoned. Things began to improve from the late 1980s onward. • The stadium was expanded for the 1987 Cricket World Cup. It hosted three games during the tournament. • Further improvements were made for the 1996 World Cup. The National Stadium hosted three matches during the 1996 tournament. • The National Stadium had a matting wicket (jute) between 1955 and late 1950s which helped seam bowling. Its pitches were flat and batting-friendly after matting was removed. They remained this way till the mid-1970s. The groundsmen then began to prepare square turners, but from 1982, the pitches at the stadium became more sporting. They would offer seam and bounce to fast bowlers at the start of the Test, become stable in the middle, and offer some spin at the tail-end of the match. ODI strips remained batting-friendly, though. • National Stadium is also famous for offering swing to quick bowlers. Experts believe this is due to the steady sea-breeze which often blows across the stadium. • The last international match to be played here was in 2009. 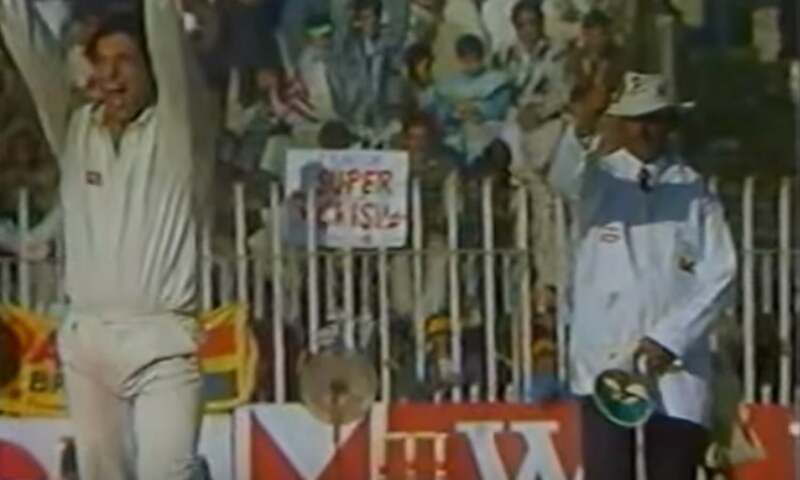 1982: Video-grab of the large crowd applauding Imran Khan’s 200th Test wicket which he took against India at National Stadium in 1982. 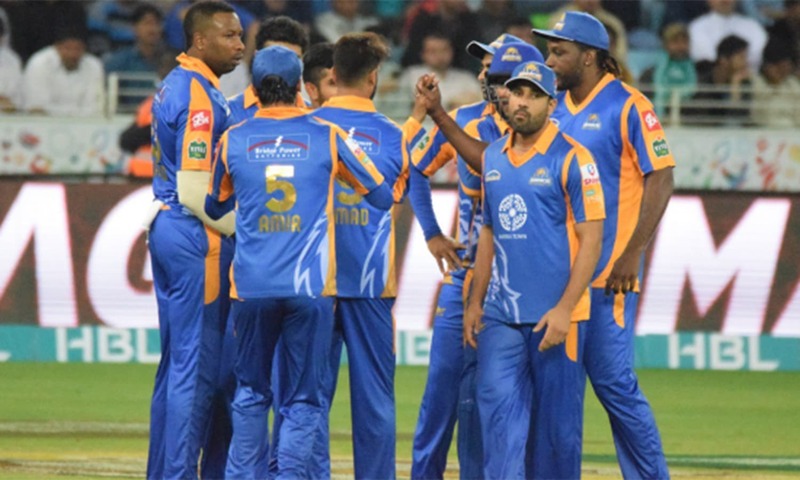 Karachi’s premier league team, Karachi Kings. Total worth of the team is $26 million. 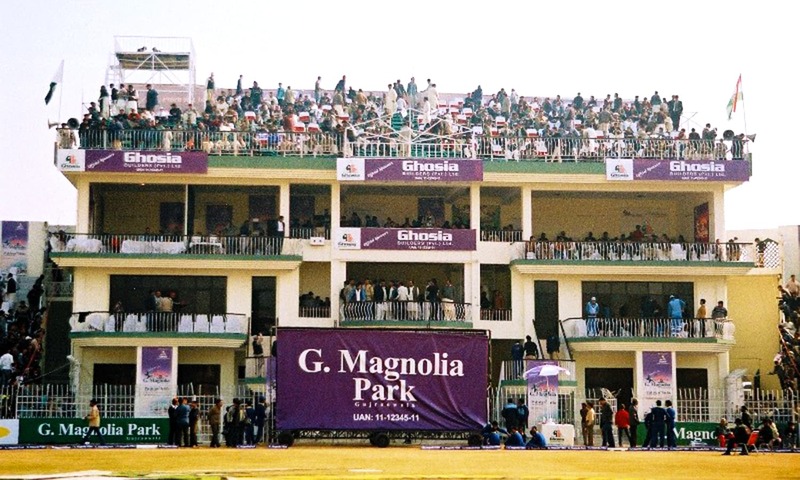 Home Ground of Faisalabad Wolves. • Once known as Layallpur Stadium (the old name of Faisalabad), Iqbal Stadium was renovated and given the status of a frontline cricket stadium in 1978. 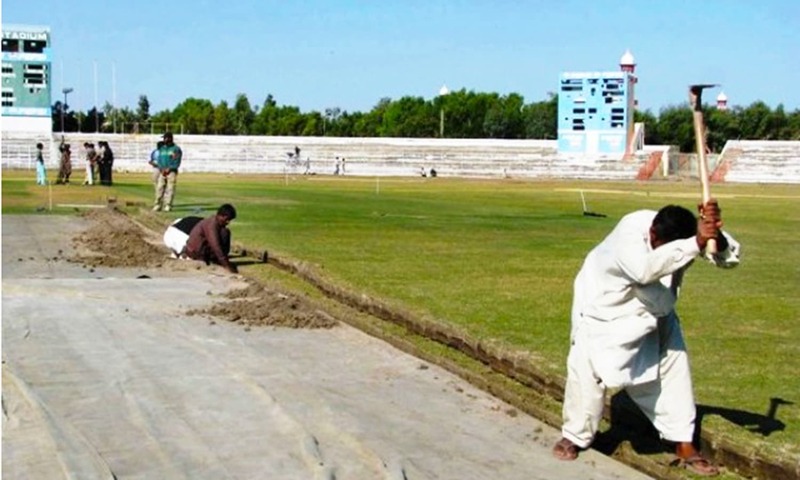 • Traditionally, Iqbal Stadium pitches have been flat. Out of the 24 Tests held here, 14 have ended in a draw. 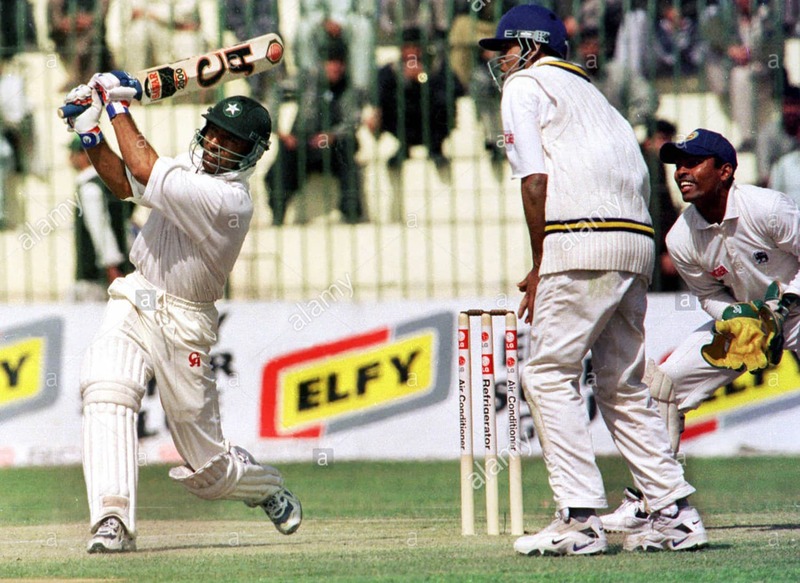 • It was at this stadium that the infamous spat between former England captain Mike Getting, and Pakistani umpire, Shakoor Rana, took place in 1988. The incident became a diplomatic nightmare for the governments of both the countries. • The last Test held at this stadium was in 2006. The last ODI played here was in 2008. 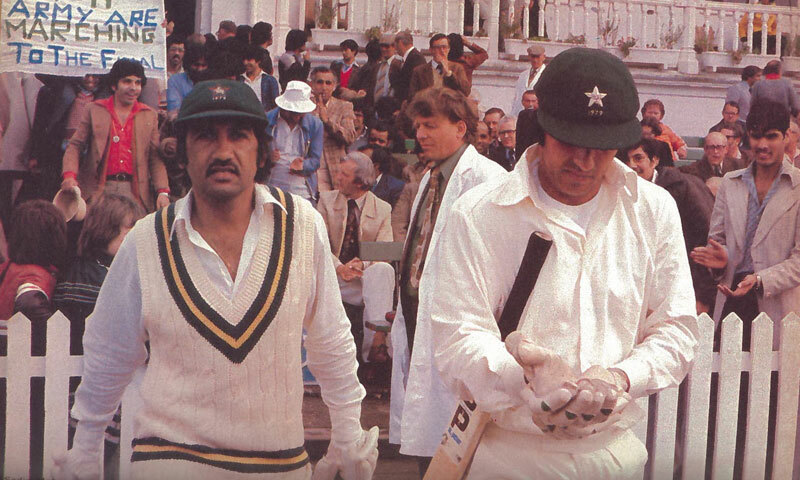 1978: First day of the first-ever Test at Iqbal Stadium. Home Ground of Islamabad United; Rawalpindi Rams; Islamabad Leopards. 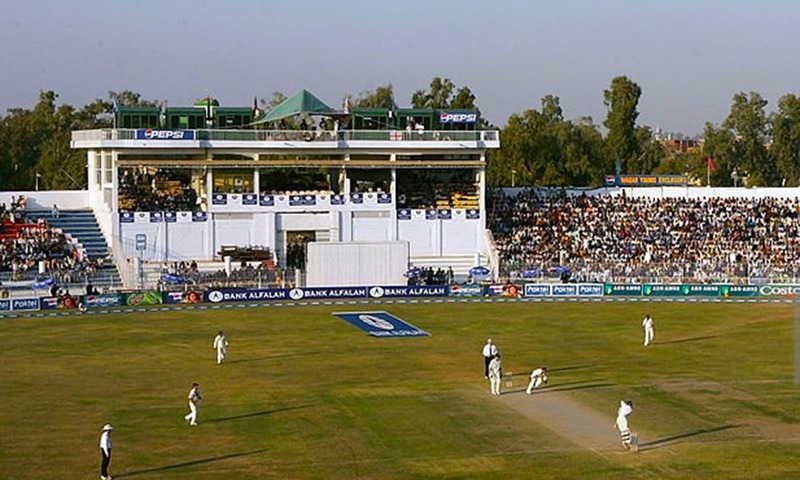 • Situated in the suburbs of Rawalpindi and very close to Pakistan’s capital city, Islamabad, the stadium first emerged as a Test venue in 1993. • It was a busy venue during the 1996 Cricket World Cup. • It was a regular Test venue till early 2000s. • The pitches here have been largely sporting. • The last Test played here was in 2004. 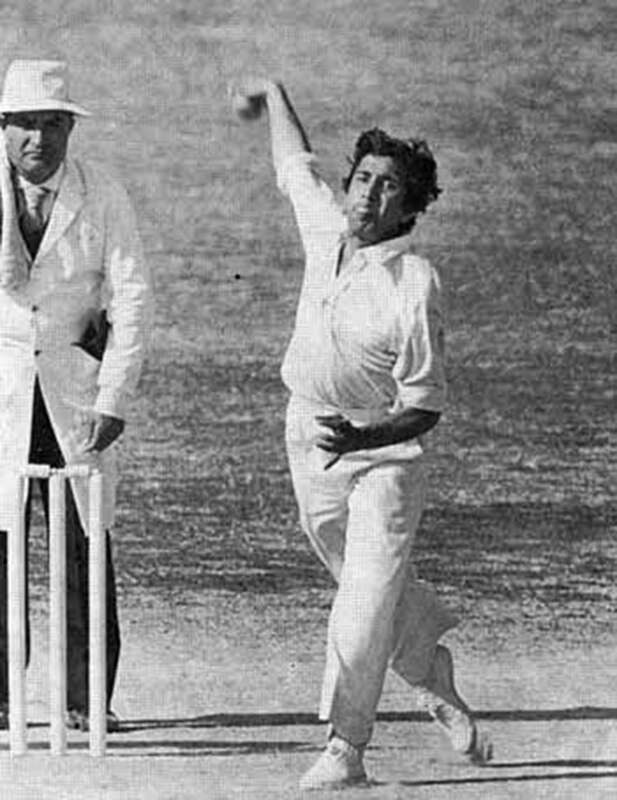 Screen-grab of former Pakistan captain and fast bowler, Wasim Akram, in action during the first-ever Test match played at Rawalpindi Cricket Stadium in 1993. 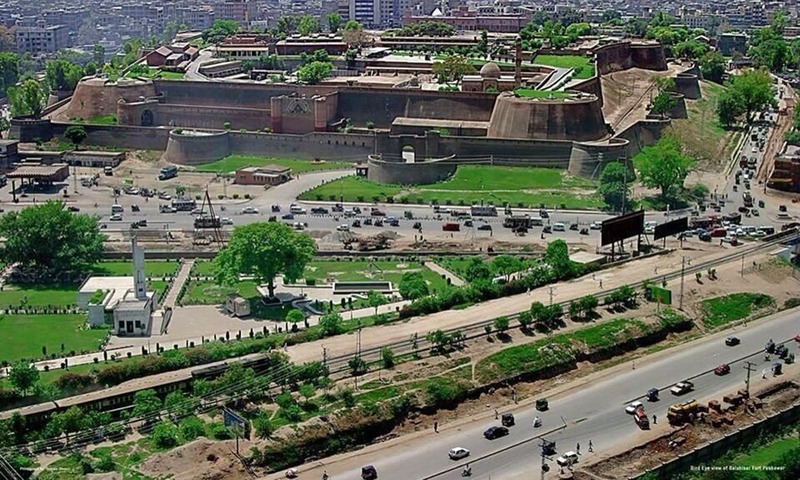 Home Ground of Peshawar Zalmi and Peshawar Panthers. • Arbab Niaz Stadium emerged as a frontline cricket ground in the early 1980s, but it did not host a Test match till 1995. It was mostly used for ODI games. • The pitches here have largely aided spinners. • The last Test played here was in 2003. 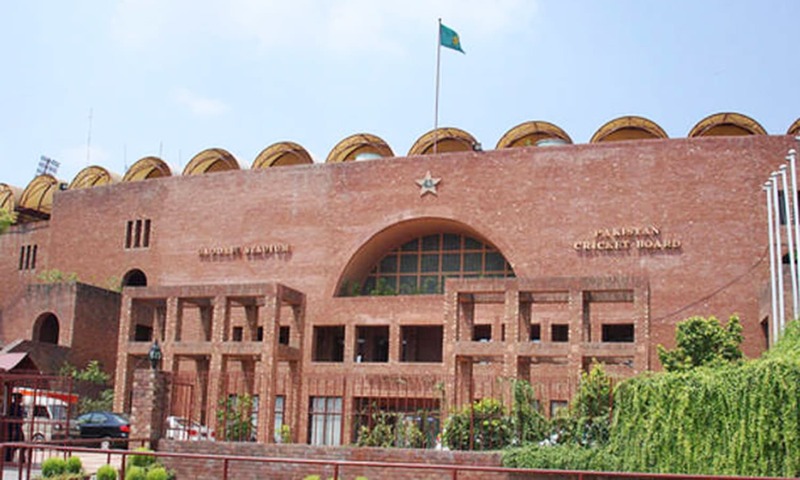 • The Multan Cricket Stadium hosted its first Test in 1981 and last in 2006. • The pitch here has traditionally aided seam bowlers. 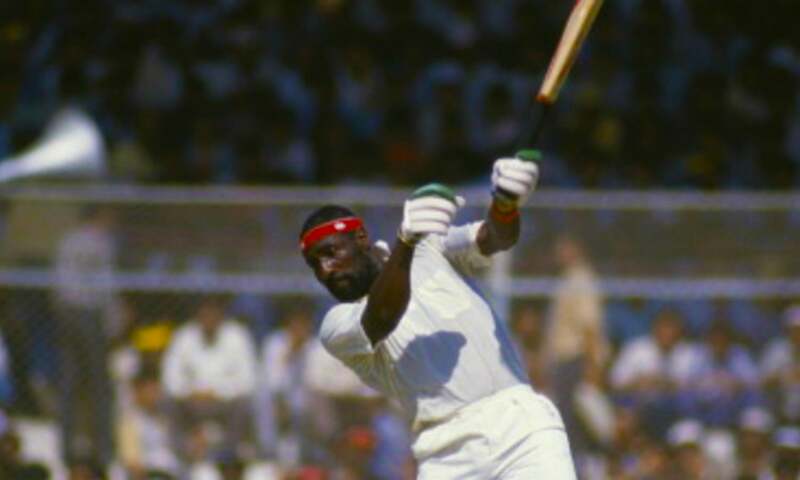 • During a Pakistan-West Indies Test here in 1981, West Indian fast bowler, Sylvester Clarke, hurled a brick in the stands at a spectator who was throwing oranges at him. The brick hit the spectator on the head and he was hospitalised. 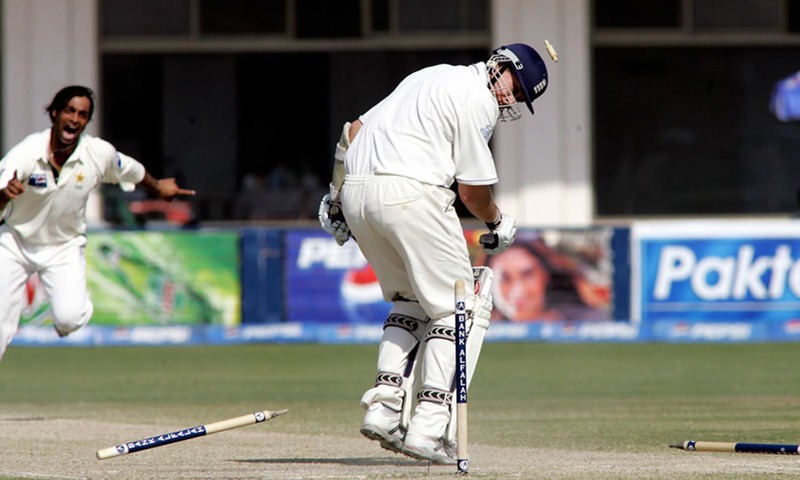 • Pakistan downed a strong England side here in 2005 after England had defeated Australia in that year’s Ashes series. • This stadium was first constructed in the 1920s by the British. 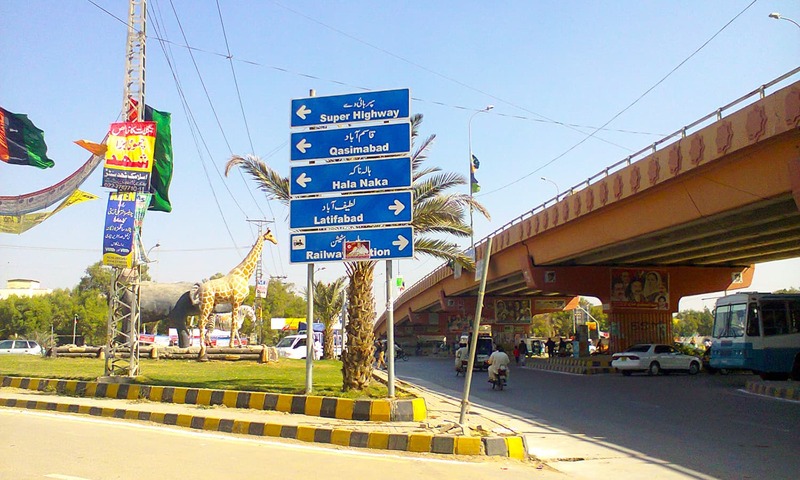 In the 1950s it was named Jinnah Park. In 1979 it was upgraded and renamed Jinnah Stadium. 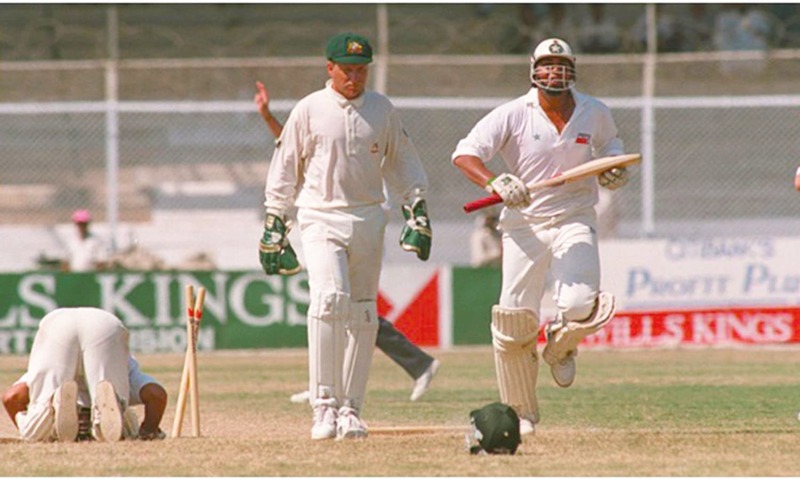 • The first Test here was played in 1985 and the last in 1995. • Pakistan played its first ever ODI at home on this ground in 1976. It was against New Zealand. It was also New Zealand’s first ODI against Pakistan. 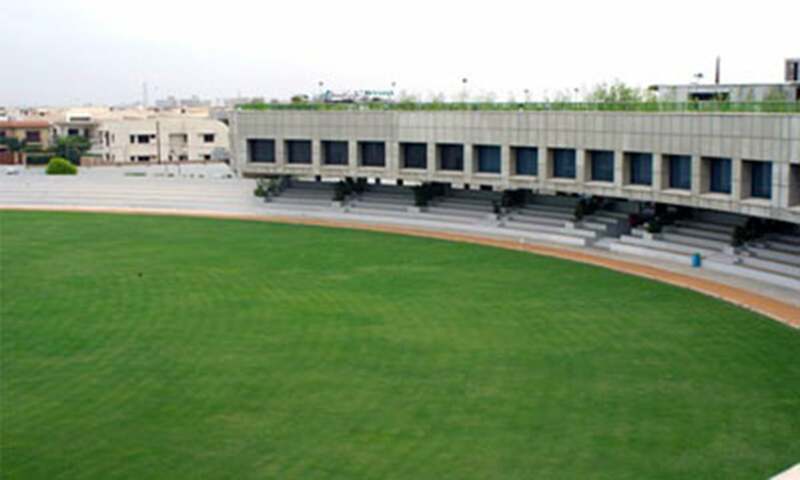 • Jinnah Stadium is known for its green-top pitches that help fast bowlers. 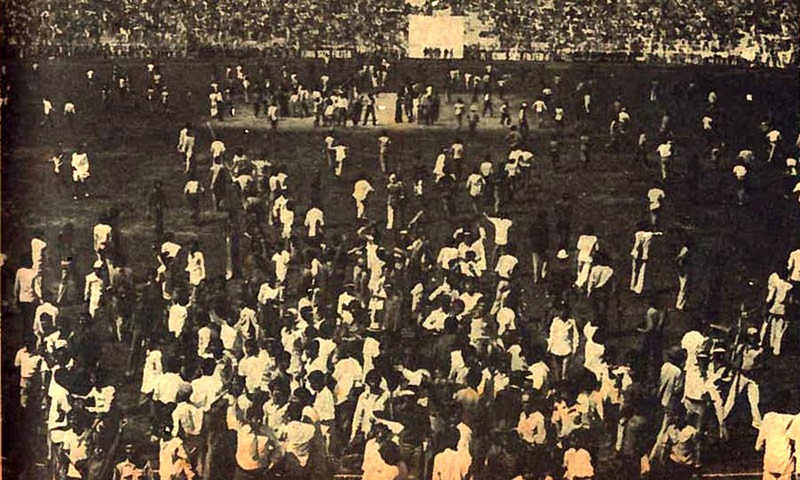 • A 1984 Pakistan-India ODI here was stopped midway and abandoned after news of the assassination of the then Indian PM, Indira Gandhi, reached the ground. India were batting. 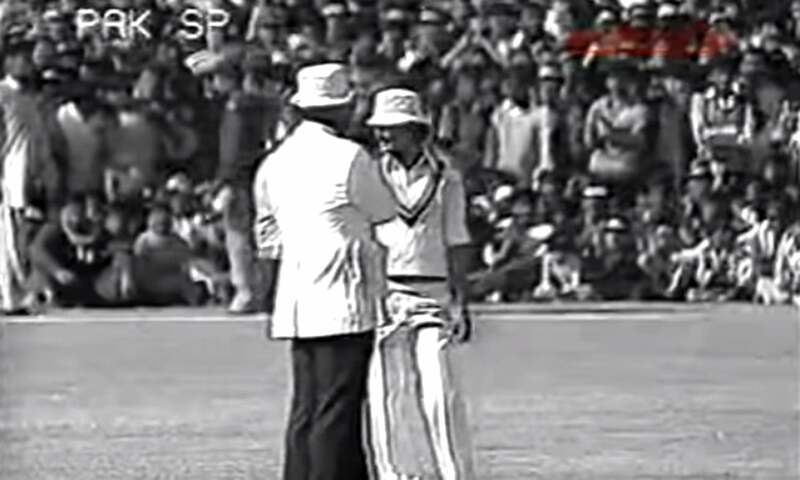 1976: Screen-grab of a New Zealand fielder talking to the leg umpire during the 1976 Pakistan-New Zealand ODI at Jinnah Stadium, Sialkot. The ground at the time had no fencing. 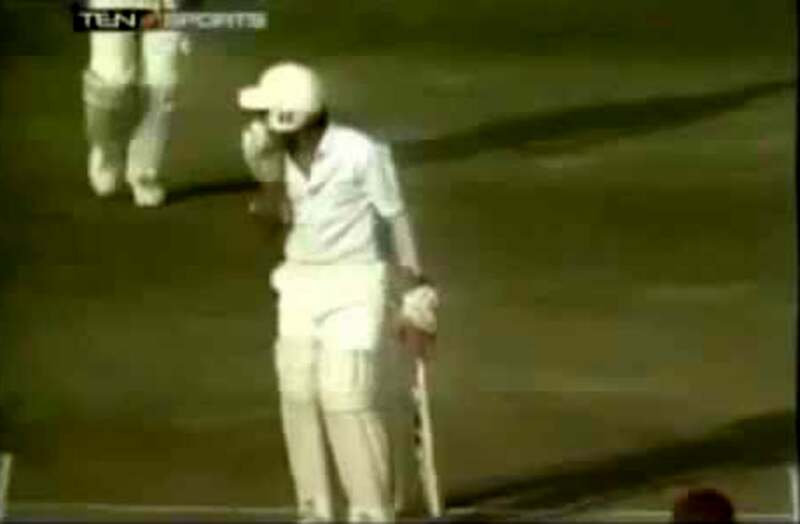 1989: A screen-grab of master Indian batsman, Tendulkar, hit on the face by Pakistani fast bowler, Waqar Younis, at Jinnah Stadium during a 1989 Test match. 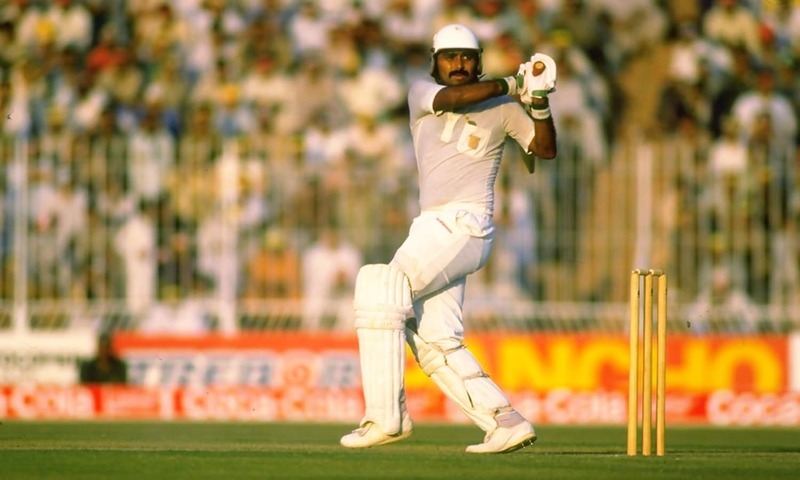 • The world’s 1000th Test match was played at Niaz Stadium (Pakistan vs. New Zealand) in 1984. • Swing bowler, Jalaluddin, took the first hat-trick for Pakistan in ODIs. He did it during an ODI against Australia in 1983 at Niaz Stadium. 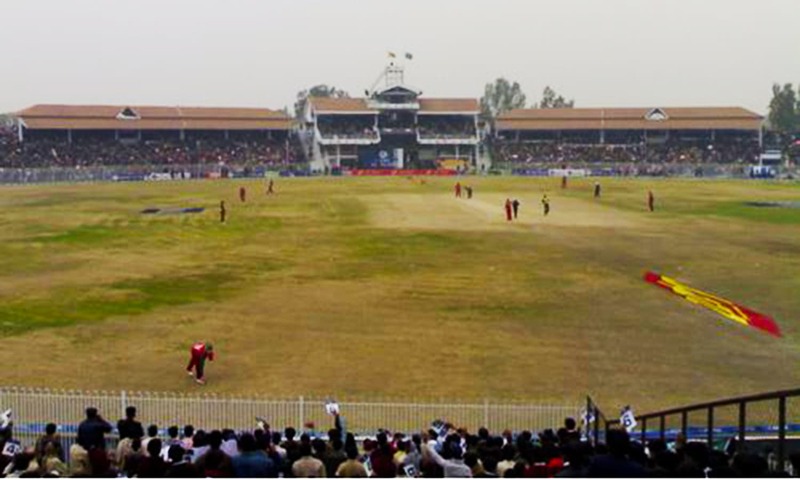 • The last time a Test was played here was in 1984, even though Niaz Stadium continued to host ODIs till 2008. • The Niaz Stadium pitch has traditionally been placid and batting-friendly. • The first (and only) Test match held here was in 1991. • The last ODI played at the stadium was in 2000. • One match was held here during the 1987 Cricket World Cup (West Indies vs. England). • The current World number one umpire, Pakistan’s Aleem Dar, made his international umpiring debut at this stadium during a Pakistan-Sri Lanka ODI in 2000. • The Stadium has hosted two Tests and two ODIs. • Only two ODIs have been held at this stadium. 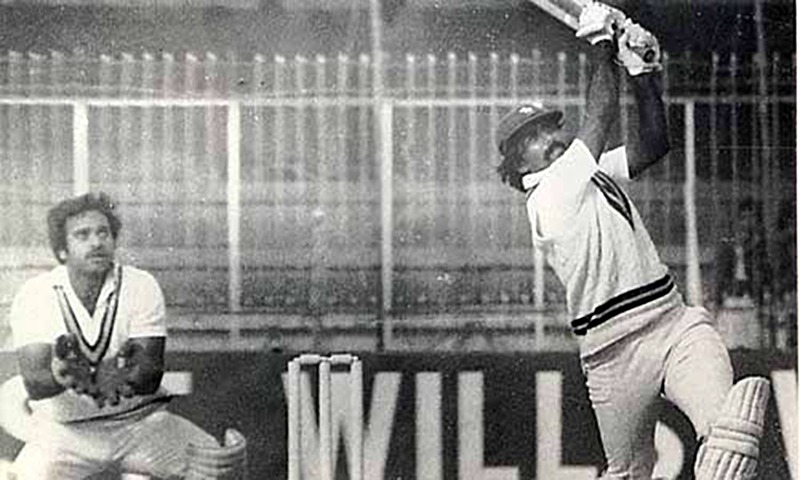 One (against England) in 1977; and the other (against India) in 1978. 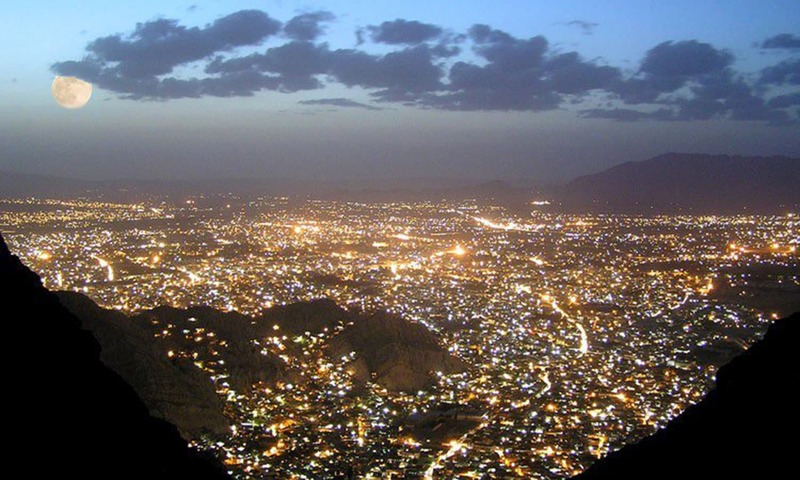 Home Ground of Quetta Gladiators and Quetta Bears. 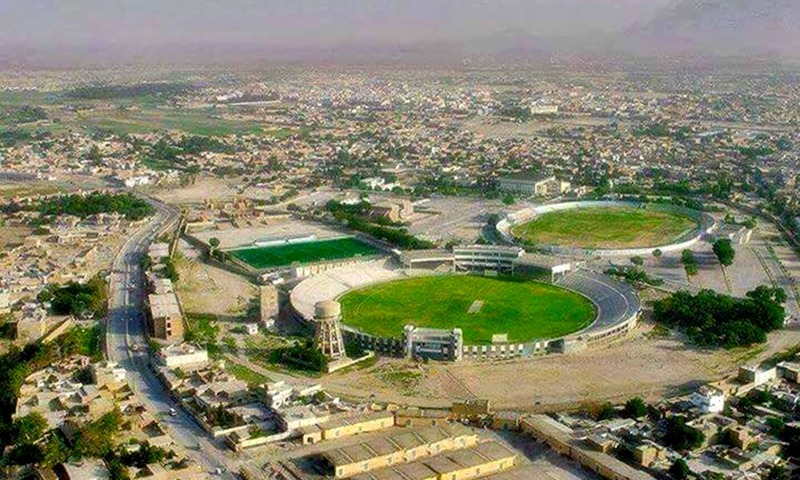 • Though just two ODIs (and no Tests) have been played here, Ayub Stadium is best known for holding the first-ever ODI between Pakistan and India (1978). • Bagh-e-Jinnah is located within Lahore’s vast Lawrence Garden. It was built by the British. 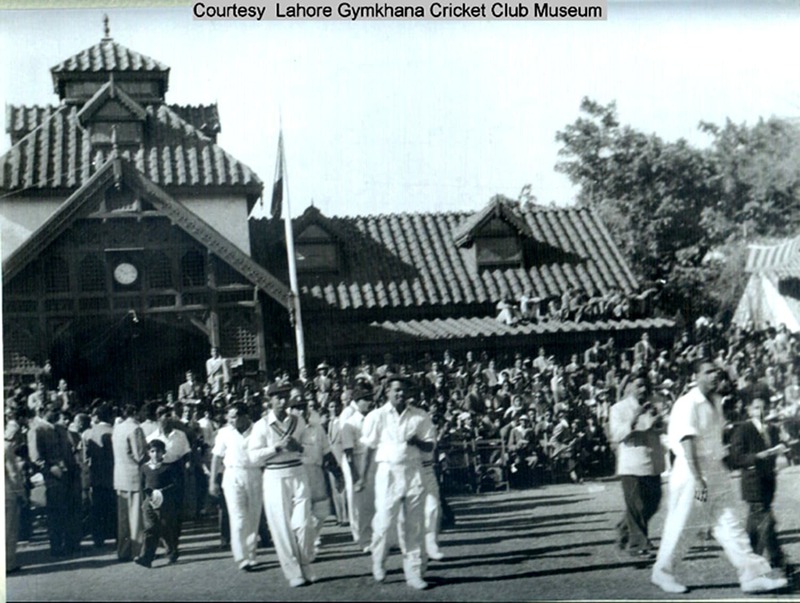 • It was Pakistan’s first international cricket venue. 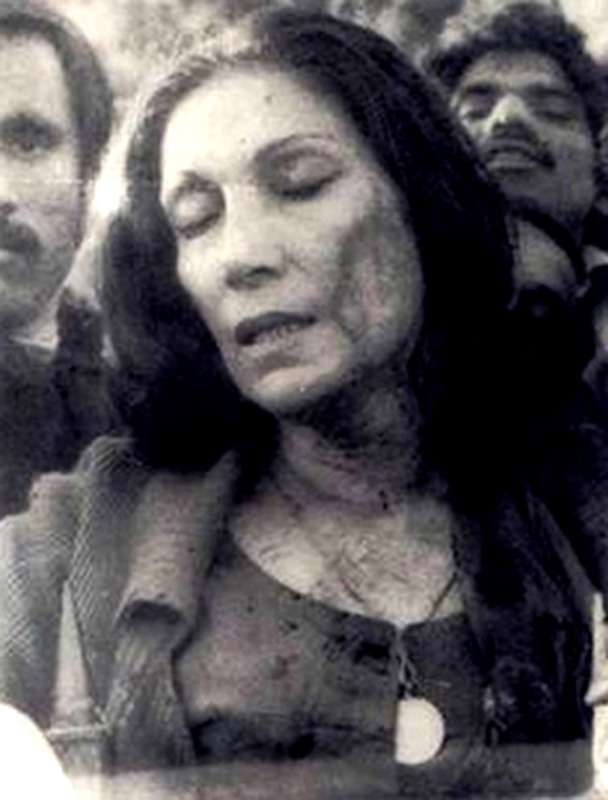 • It stopped being a Test venue after the construction of Gaddafi Stadium in 1959. • It is now mostly used for club cricket games. 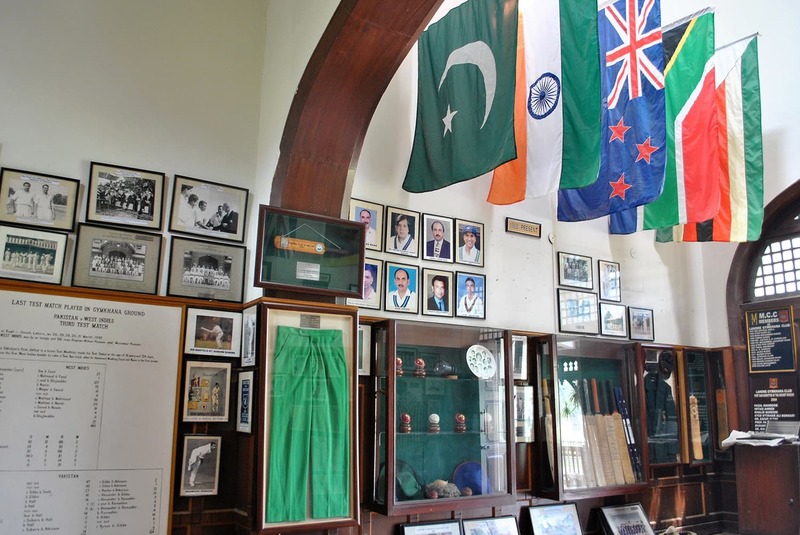 • It has Pakistan’s only cricket museum. Great article. Kind a surprised with capacity and feel bad by condition of stadiums. Our marriage halls are in much greater shape and busy than our sports venue. No wonder we produce more kids but no athletes. Nice. Pakistan and cricket. Love the picture of the world cup lifted by the Sri Lankan, there it begins the new rising sun of future cricket stars from the land of Ceylon. Thanks DAWN for all the photos, and the history all the Cricket grounds. Nice pictures, however not much change since 1978, lack of modernization. 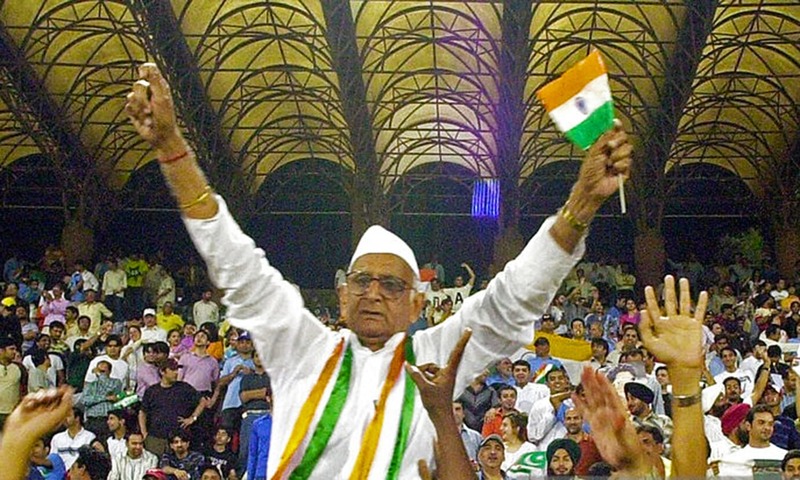 You should at least not leave a stadium where test match has been played in the past. 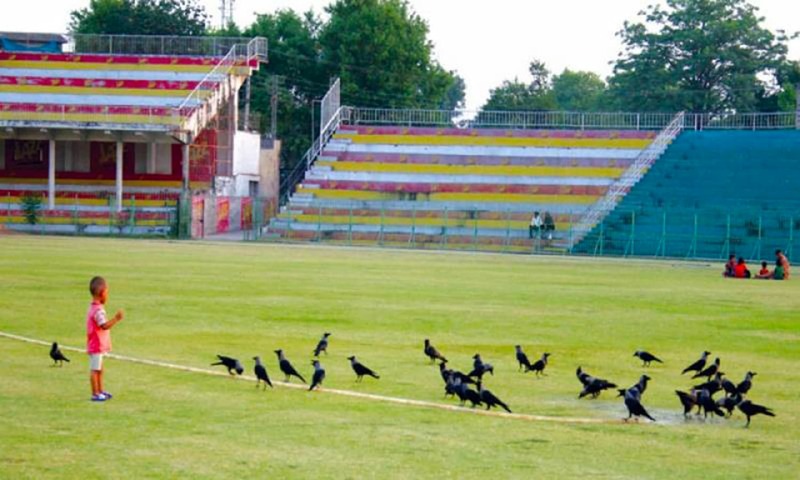 Bahawalpur stadium has a beautiful ground although with a small capacity it lost its international status. 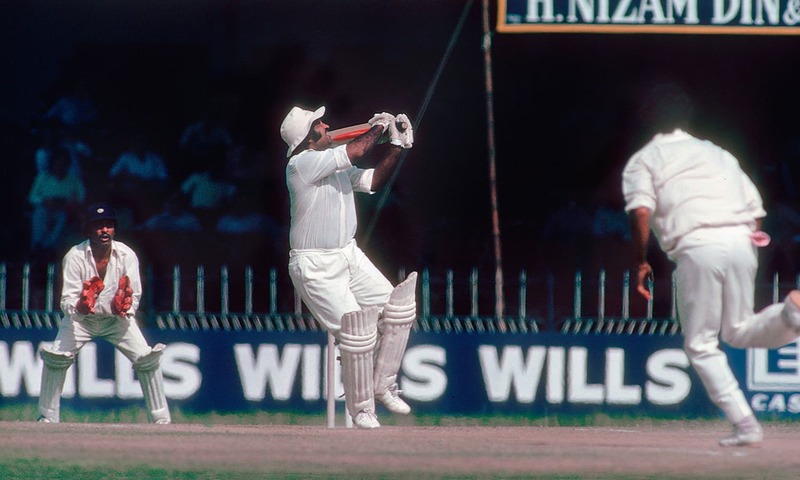 you have an image of Saeed Ahmed batting in the first Test against Australia , can you please clarify the name of your staff photographer who took this picture .I am sure Dawn would be having this record . 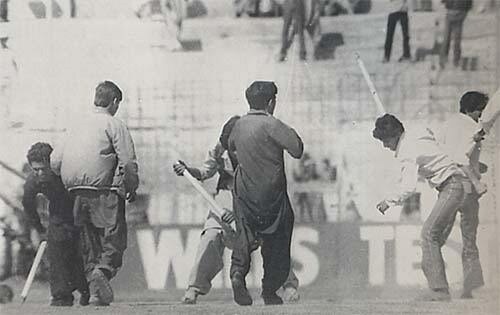 In 1959, Dawn was not published from Lahore , so a photographer must have been detailed to cover this match . 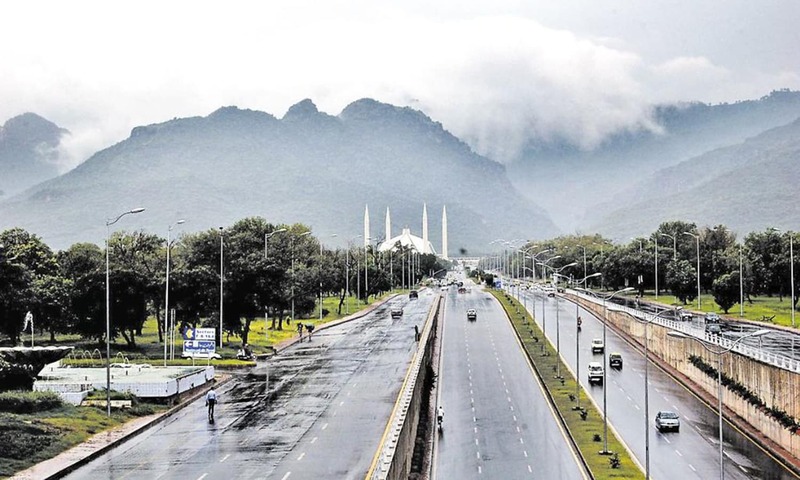 Beautiful.. Pakistan is such a lovely country..
NFP forget to mention the Multan Cricket Stadium, a very well designed and built modern stadium ...good journey down the memory lane. These grounds should be sold to authorities for building hospitals,schools or collages.Such land area between the city are of no use and only consuming electricity,water and money. Isn't it time Gaddafi stadium should be renamed. Go back to Lahore stadium. 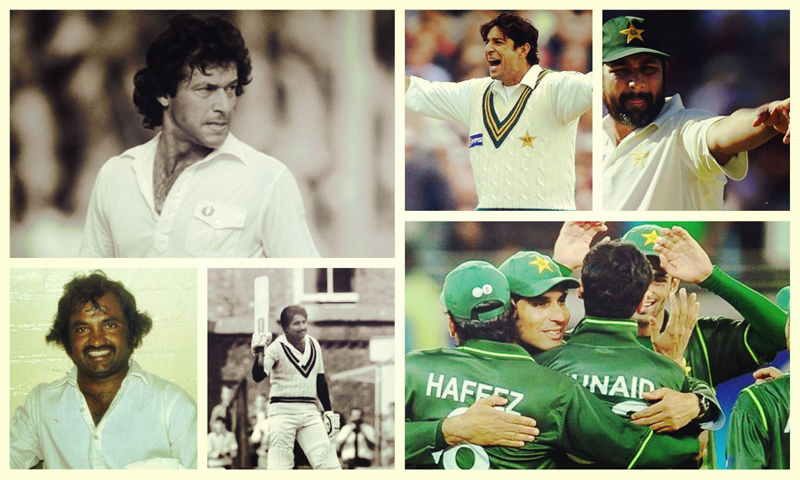 Epic pics of my beautiful Pakistan and all its glory days of international cricket! Soon our nation shall overcome all the challenges it has been subjected to by Enemies of the State and we shall enjoy international cricket matches once again! 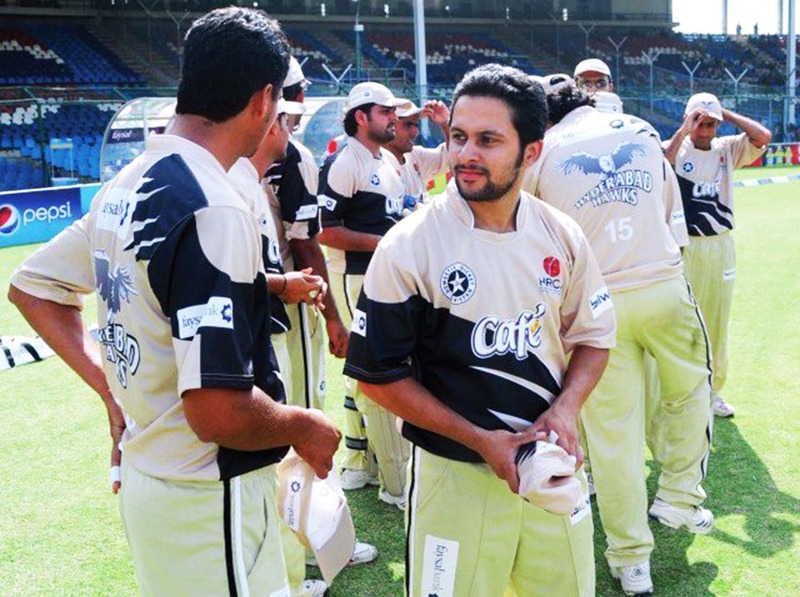 "Karachi Gymkhana maintains the Country's most prestigious historical cricket ground. 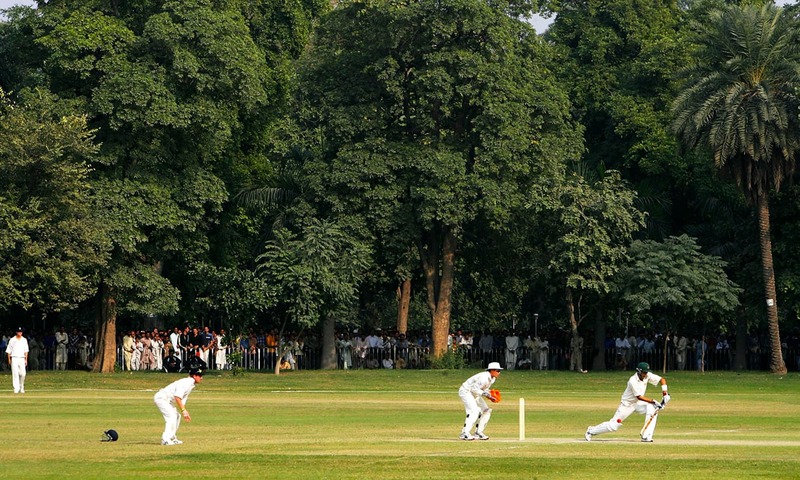 It has been the venue for several international and national domestic cricket matches. It was on this ground that Pakistan scored its historic win against MCC on 29th -30th November & 1st -2nd December 1951 thus Pakistan got admission to ICC Pakistan captain was MR. A.H kardar and MCC captain was MR. N.D Howard." Miss the beautiful winter mornings of Pakistan ,playing or watching cricket. Loved the black and white photos of the 1950's. Takes me back to the days of listening commentaries on the old radios at home and the corner barber shops. Sir, You sum up all the history beautifully and revealed potential information which some on us do not know before reading it. The Dawn and his fellows - Put a great effort. where is Gama Stadium, located in Mirpurkhas. 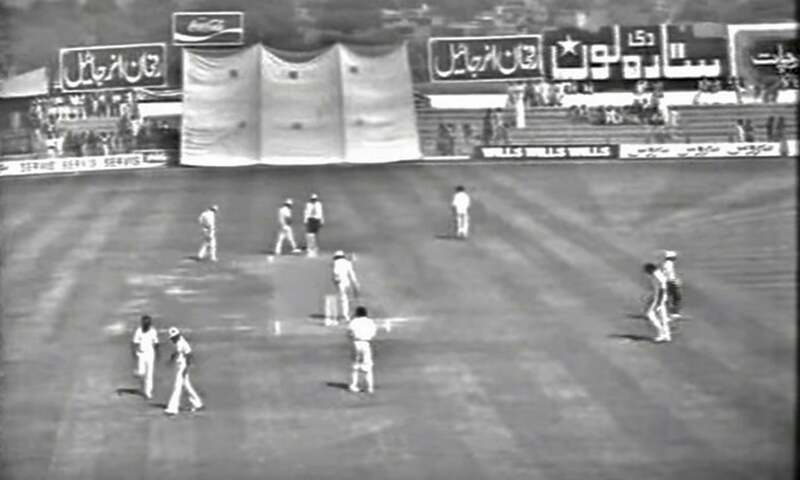 One uner-19s ODI was played there, between Pakistan and Siri Lanka in 1976. Now that stadium is renamed as Shaheed Mohtarma Benazir Bhutto Sports Complex Mirpurkhas. Excellent read. What about stadium in abbottabad stadium? Those asking where is this stadium or that, it is quite clear after going through this excellent piece that NFP has picked stadiums where at least one major international match was played. great work sir i am appreciating of your work. I like it the whole collected data of Pakistan all stadiums. 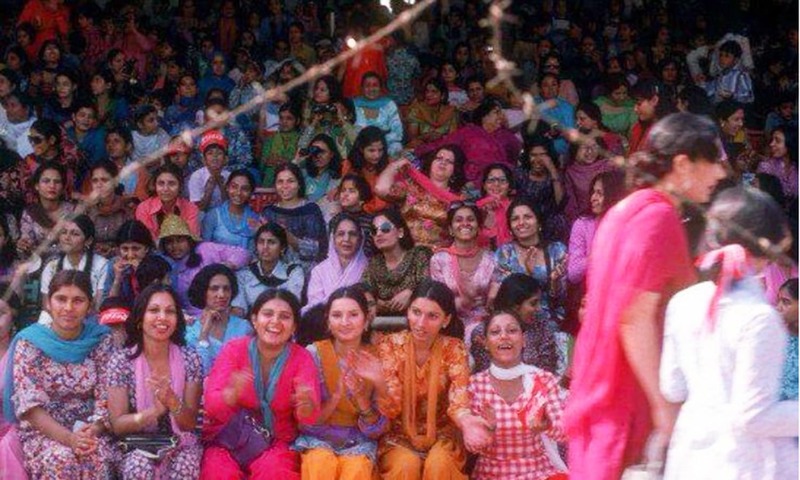 "1978: A packed stand at the Gaddafi Stadium during the 1978 Pakistan-India Test" What a beautiful pic ladies enjoying game of cricket between India and Pakistan. I wish to see the same excitement returning to Pakistan soon with lots of International cricket matches. Nadeem Paracha , you are always the best and thanks for informative article. I really hope that all these stadiums get used alot. 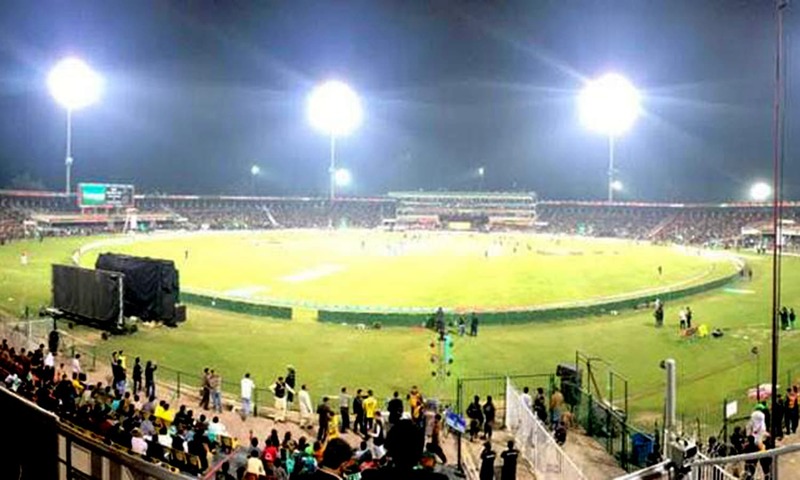 Multan Cricket stadium is a new test ground on Vehari Road, Multan which hosted its first match in 2001 against Bangladesh. This ground has a capacity of 35000. 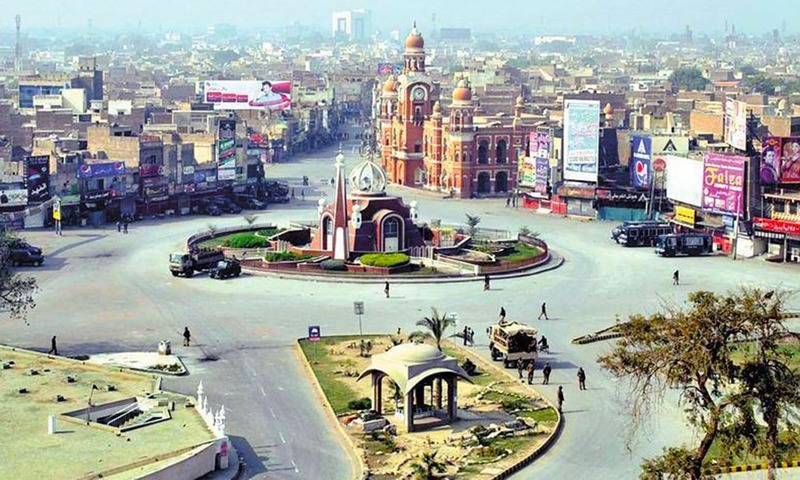 Writer has mixed both Ibne Qasim Bagh Stadium and Multan Cricket Stadium as one ground. 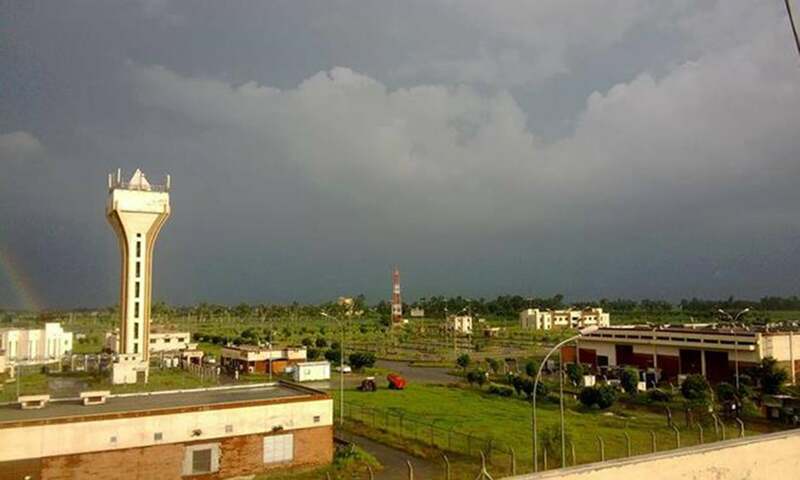 How about the cricket stadium in Sargodha ? I have seen some international matches myself there is in my childhood, is that not a worth mention ? Not one stadium has seating of international standard. Have fondest memories of cricket in the fifties and sixties and of course the voices of the two great commentators, Omer and Jamshed. They simply managed to plant you right there in the stadium even though you were hundreds of miles away. Memories, great memories! @Tahir A : great recollection, you have awakened precious memories of my childhood, bless you my friend. 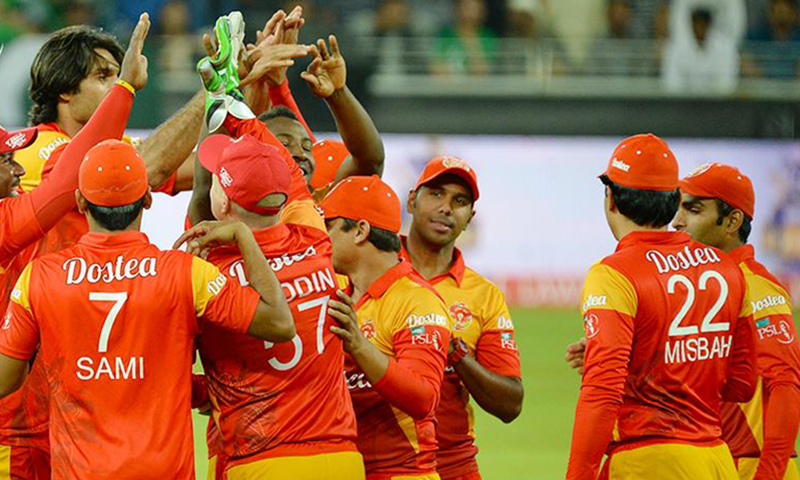 Pakistani nation of 220 million people needs more teams in the PSL. There should be 16 or maybe 20 teams in the league and not just state-capitals. I hope one day cricket flourishes in all of these great stadiums. 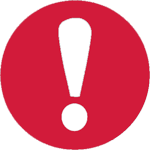 Thanks NFP to sharing and documenting Pakistani stadium information to rest of us. Another interesting fact about the Gaddafi Stadium is that it had capacity of 60,400 but after renovation and installation of seats the capacity is now 27,000. @Rashid Very good pictures of old stadiums as well as new of the country. Very nice and Thanks to Dawn sharing the Pakistan's cricket history. Produced brilliant crickets, cricket lovers of the world love all them to the core. We all miss international games specially India Pakistan games being played in Pakistan.nice crowds of Pakistan sport fans. Hope the last game will help open up the Pakistan's venue's and for world cricket lovers enjoy some of the best cricket games. Stadium stadium everwhere, not a single stadium to play home series..coz all series are played in dubai..! Great article.I enjoyed it reading.I want Cricket to come to Pakistan again.Pakistan is a peaceful country. Once again, NFP at his best. This is for sure a well researched article about various cricket stadiums in the "land of the pure" where a test match, ODI or T/20 game has been played so far. Some wonderful pictures add color and value to it. 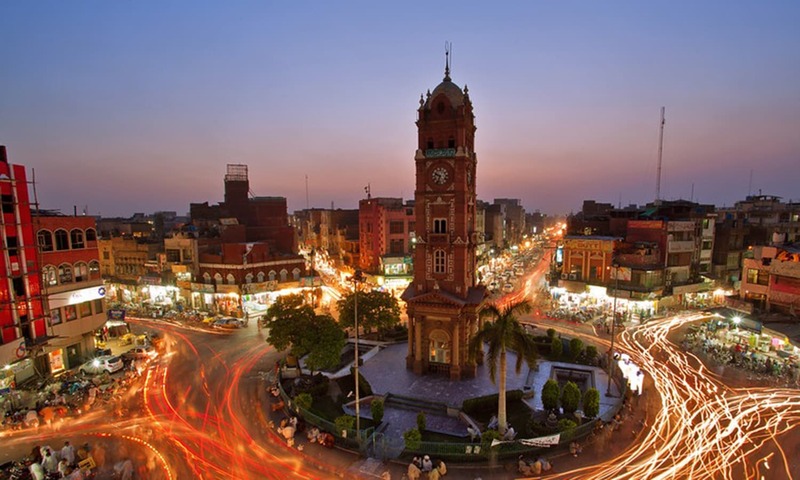 (1) Rawalpindi Cricket Stadium, Mall Road, Rawalpindi Cantt. Built by the Britishers a century ago, I remember watching a first class three day match here as a school boy between Pakistan & England in which Z.A. 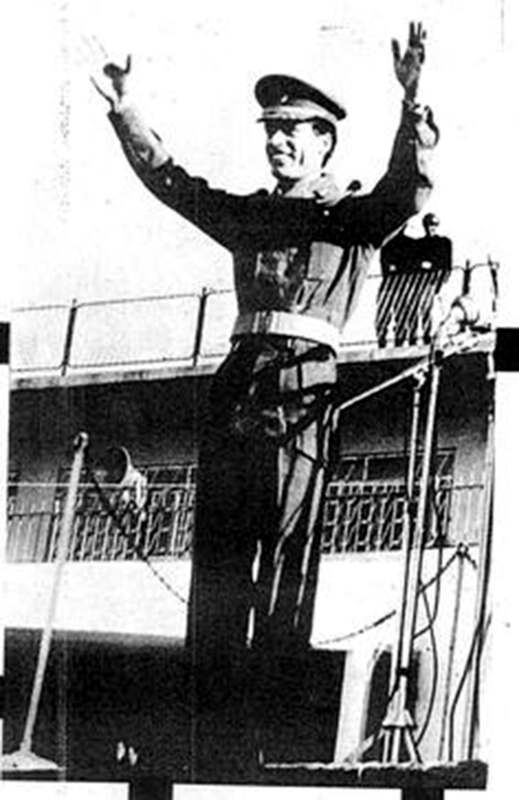 Bhutto, former Prime Minister was the chief guest. (2) Polo Ground, Fort Colony, Multan Cantt. This famous cricket ground where I have also played as a school boy, is the one where Amin Lakhani of Pakistan in the 1980s, took a rare hat-rick in each inning of a first class match against the West Indies. 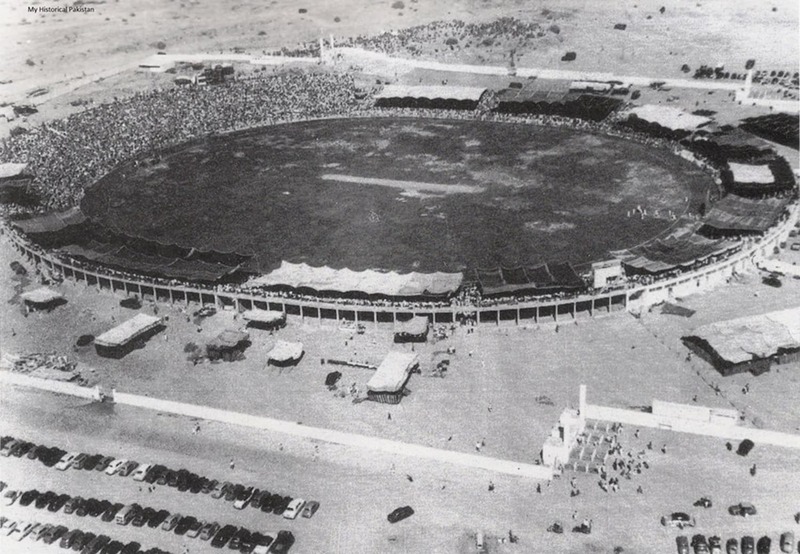 (3) Bahawalpur Cricket Stadium also held first class/test matches against visiting cricket teams. 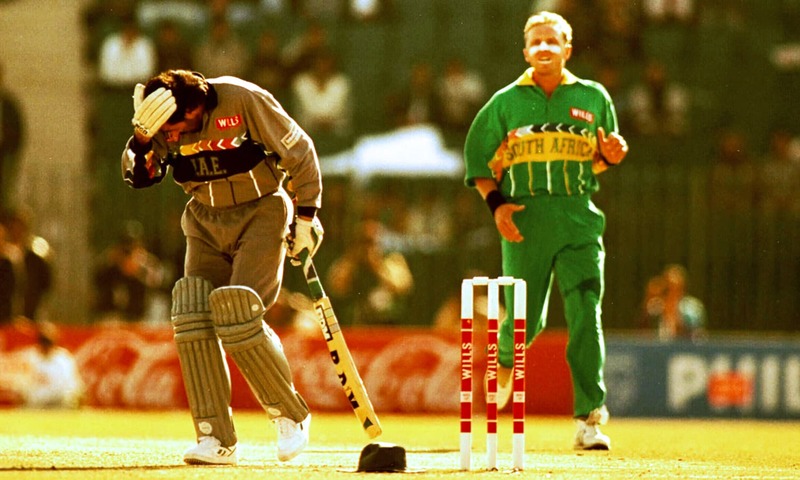 The batsman hit on the head by Donald is UAE's captain Sultan Zarawani who came to bat wearing a sun hat instead of helmet. 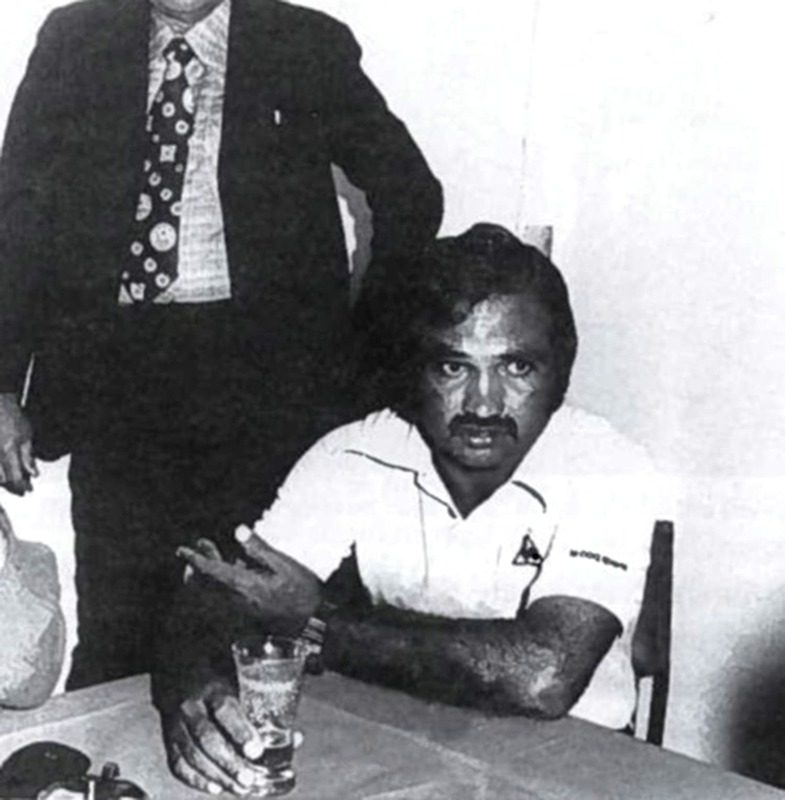 He was the only native born player for UAE and probably the only cricketer at that time to own more than a dozen expensive cars. Very informative. Really enjoyed reading thru. A very valuable collection of history.